Choose today to help inspire your children to grow in faith with age appropriate curriculum that makes learning fun and meaningful. Please call for more information: (619) 445-3419 and register today! Children's Program is back in session with Bible-based activities on Sundays at 10 a.m. in the fellowship hall during the school year. To better support our families, all ages are welcome, however, we are not currently able to provide infant care. Children and infants of all ages are always welcome in the regular worship service. the Kingdom of Heaven belongs. 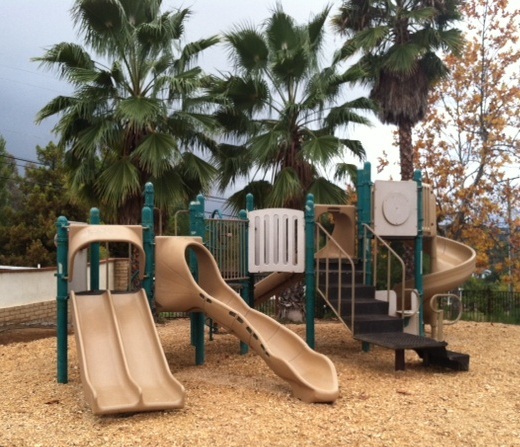 Our playground, relax & enjoy your coffee while your children play after Sunday service.